Designed to look and feel exceptional, the Imagic TGA WP series offers a host of features normally reserved for higher priced binoculars. The natural rubber armouring is specially designed with unique mouldings that maximise grip and comfort in the hand. The ergonomic focusing system provides close focus to under 3 metres. 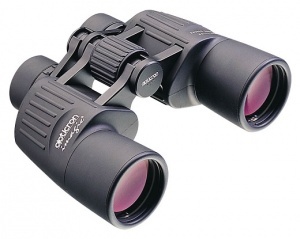 With BAK4 prisms and fully multi-coated optics (all air/glass surfaces) plus F-type multi-coating on the eye lenses and objectives lenses of selected models, the instruments deliver class winning clarity and definition and are guaranteed to match or outperform any roof prism binoculars up to £250.